I have a bunch of candy and am thus a strategic valentine choice. February 14th means nothing to me. How do I love thee? Let me count the ways. 1, 2, 3, 4, 5, 6, 7, 8, 9. Nine ways. I love thee nine ways. 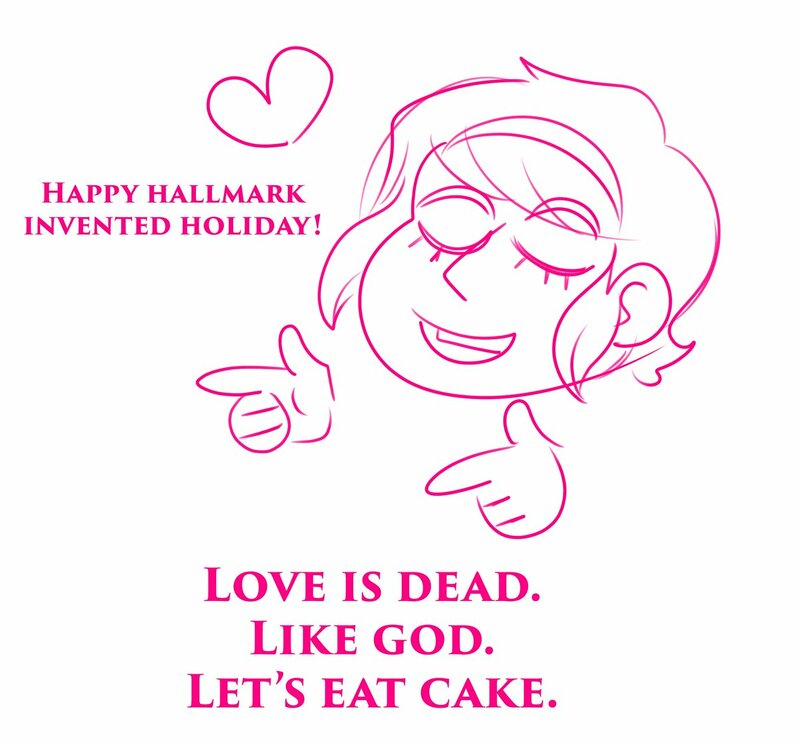 This is a purely platonic valentine. Enjoy the candy, nerd. It's not like I like you or anything! Cinnamon Candy Hearts should be available all year round. Please sign my petition to show your support. I printed this in bulk to give to my acquaintances. Don't think you're special. Help! I'm trapped in a valentine's day card factory, surviving off the Tupperware lunches in the employee lunch! My refined palate is being subjected to half-assed sandwiches on the daily! I don't know how much longer I can hold on. Happy Valetine's Day Eagle Time!!!! Isn't the ides of February the day before Valentines, though? You forgot that it's a leap month. (02-17-2019, 07:50 PM)Kíeros Wrote: » Isn't the ides of February the day before Valentines, though? You are right. And even if it was every month's fifteenth, like I thought - I posted on the sixteenth. My only excuse: I was shitposting. Current time: 04-26-2019, 02:01 PM Powered By MyBB, © 2002-2019 MyBB Group.